Yay! Issue 2! Welcome to the creative process. 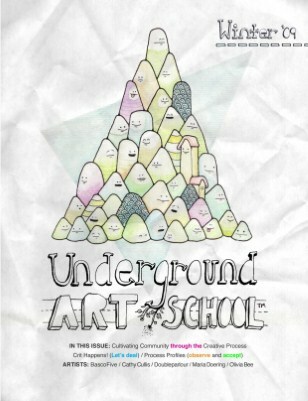 Explore underground the creative worlds of BascoFive, Cathy Cullis, Doubleparlour, Maria Doering, and Miss Olivia Bee. We'll have a chat about artistic critiques, and a bunch of other stuff. Grab a shovel, let's get dirty.